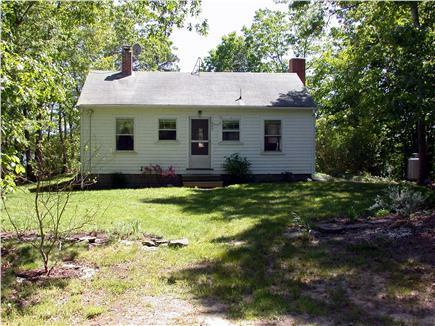 Looking to experience old Cape Cod? 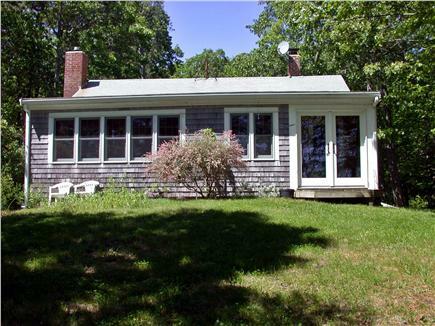 This classic 1930’s style waterfront cottage, nestled in three acres of woods on Greenland Pond, is the perfect place for a retreat or romantic getaway. Ideally situated, it’s only a short drive to downtown Chatham and some of the best beaches of the Lower Cape and Nantucket Sound. 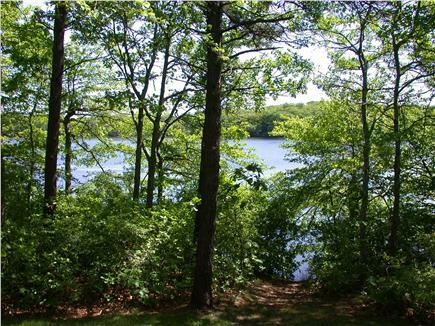 Enjoy biking on the nearby Cape Cod Rail Trail in cranberry country as well as trails in Nickerson State Park. 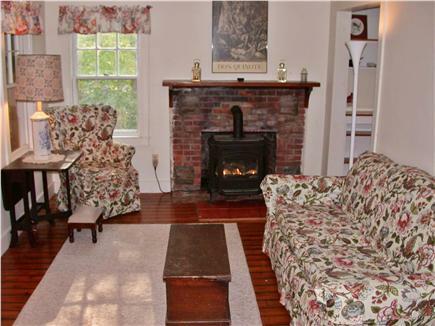 Relax in the living room in front of the gas fireplace after a day at beach, or watch the moon and stars over Greenland Pond. 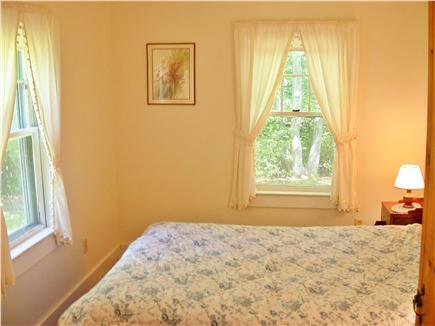 There is a double bed in the bedroom, a pull out double futon in the living room as well as one on the porch. 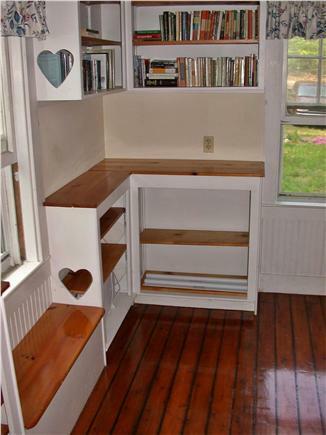 Curl up with a book on the mate’s berth in the small library room on the rainy days. 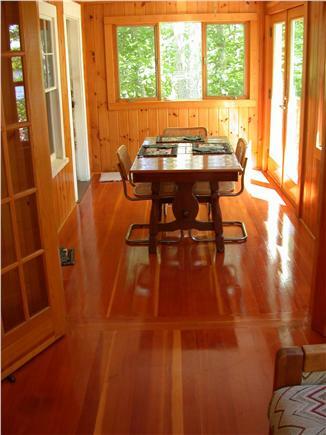 A sunny dining area on the porch overlooks the pond, and the kitchen features a classic 1927 gas Boston cook stove. 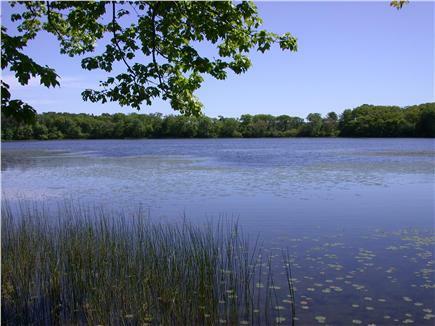 A canoe is available for paddling the pond and others (with a short portage) nearby. 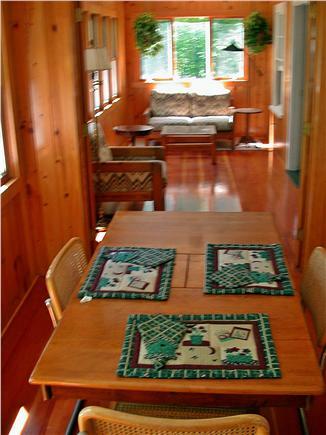 Down a winding dirt road and nestled within a grove of trees, this rental was just what we city folk needed to unwind. Stepping out of the back door to our own private view of a glinting pond was the best aspect of this property. There is one neighbor nearby, but we never heard them--it was as if we were in the middle of the woods. 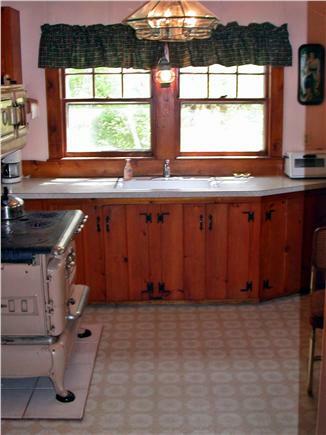 The kitchen was well-appointed with plenty of clean pots and pans in various sizes, cooking utensils, storage containers paper goods, soaps and cleaning products, and even a pitcher for making iced tea. This meant all we had to do was buy groceries and start cooking! 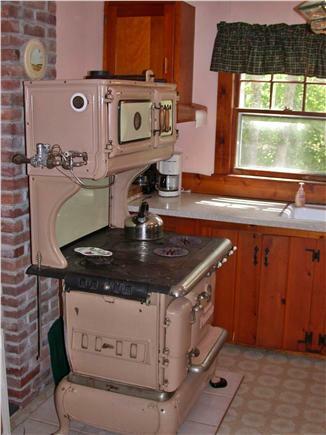 We loved the beautiful old enamel stove, and used the toaster oven for baking and roasting. Finally, the small library nook was stocked with great book titles -- I could have spent the whole time reading if I had wanted to.